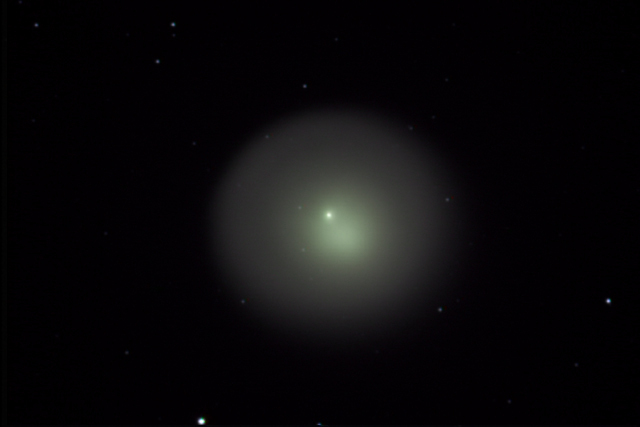 Holy Crap, what a comet! The jury isn't out on what happened. 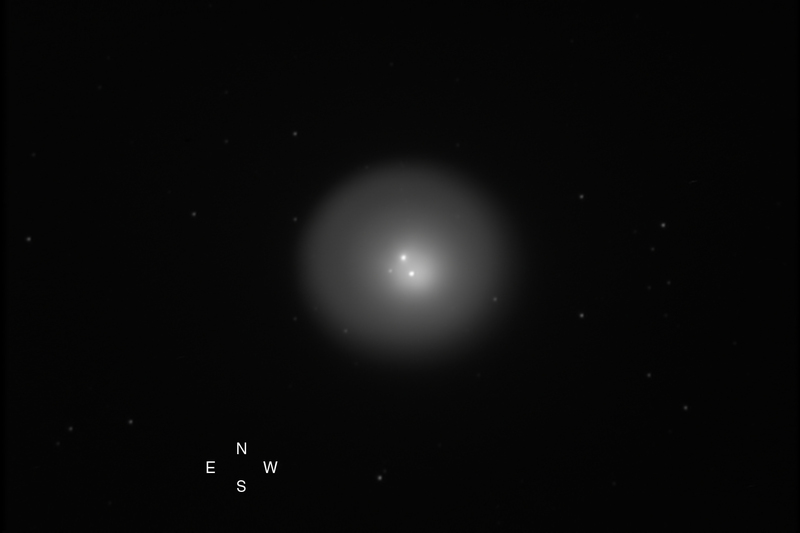 I easily was able to see this as being larger than stellar with the unaided eye. It is gold and of appreciable size in the finder. This image is a combination of a few hundred dark subtracted half and one second images, shot with a StellaCam II at prime focus of a Celestron 8" f/5 reflector. The data looks good. Unfortunately, nobody else was imaging the moon. Shooting the Orionids proved to be difficult due to a polar alignment problem that I could not resolve. The scope kept slewing to the south and required declination adjustments about every 30 seconds or minute. I realigned the scope 4 times to no avail but this could have been because I was tracking at a lunar rate and the calculations made by the mount may have caused the problem. I did not test tracking a star. My polar finder scope might need to be aligned. 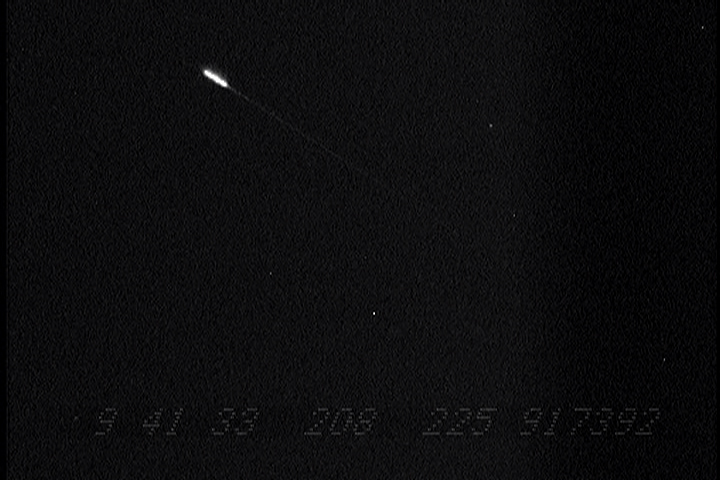 Ran the meteor tracker recording a 9 hour 30 minute single segment which is the longest video segment I've ever shot. A tera-byte drive really beats changing the tapes every hour and twenty minutes. 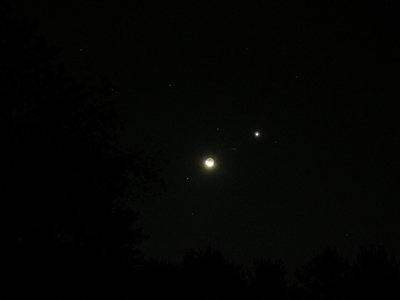 Around 6:00 AM local time, Venus and the crescent moon rose above the tree line. 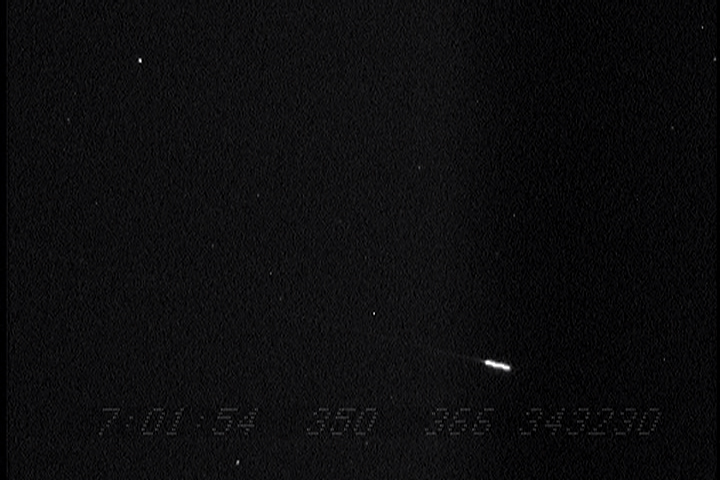 I have noise in the high res 1394 feed caused by the second video feed's USB connection for the wide field camera. It is a sporadic problem and I have not isolated it yet. There was severe dew. I ran a small 155 watt heater below a shroud which kept the mirrors warm and dew free. Dew has presented problems in the past that this little heater will solve. 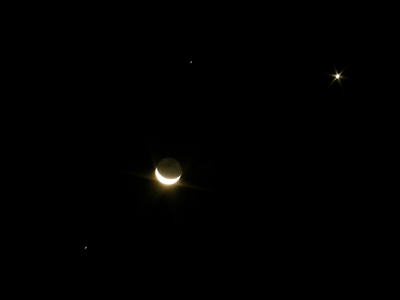 Images of Venus and the Moon, Saturn and Regulus. Venus is at the upper right, Saturn to the lower left. Regulus is directly above the moon. 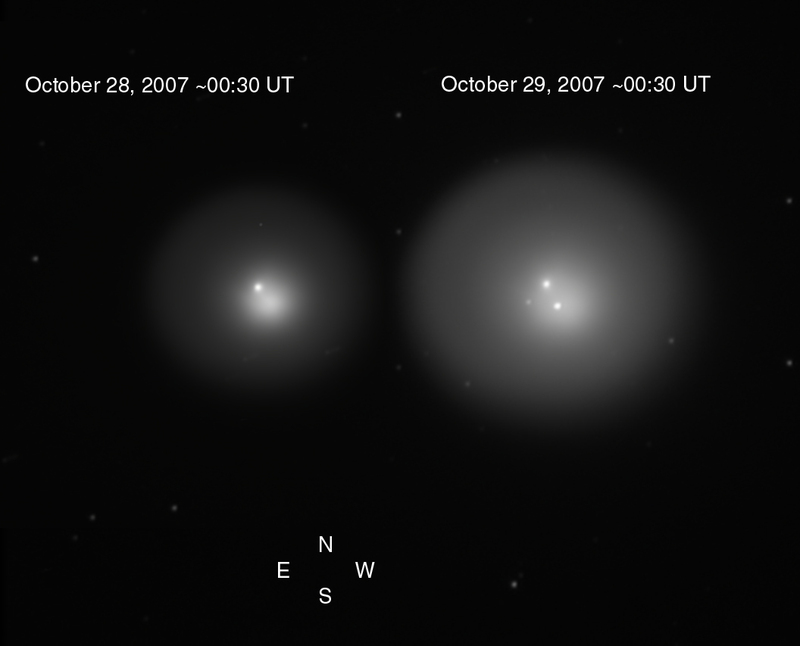 A lens flare shaped like a crescent appears in the wider field image. Venus was dazzelingly bright. I could seemingly almost hear it. With Orion, Taurus and Mars to the west, the red of Mars, Betelgeuse and Aldebaran all conspired to make for a wonderfully stunning view. Sirius was nearly free from Scintillation!